The boy and I had the chance to head to Denver this past weekend to check out Lego BrickFest Live. We had seen it advertised before, but it's never been in a close enough city to go, so with it being only a little over an hour away, it decided to check it out. 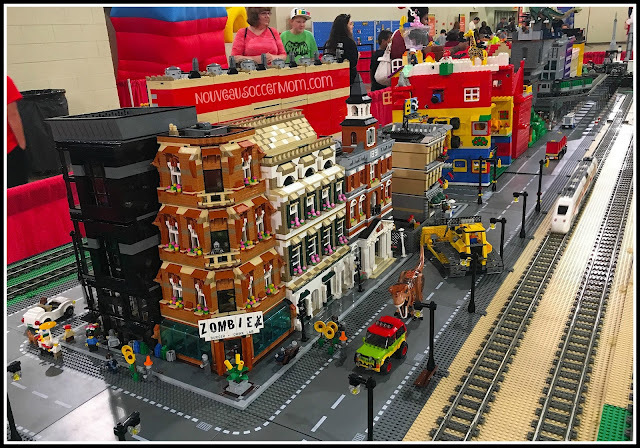 Brick Fest was filled with plenty of displays, showing creations from a number of builders. We were both intrigued by the miniature carnival set up with actual working rides and we loved the Zombie set up as shown above. Plenty of the displays were full villages and scenes laid out, not just individual sets. We were disappointed to miss the miniature golf and the trivia sections that had been shown in the promos. We had chosen the final session of the four Brick Fest sessions to attend and either both events were over or gone by the time we were there. Next time, we may opt for an earlier session in the hopes that some of the attractions won't be gone. There were plenty of vendors set up as well, but we had decided we were not shopping that day. Be prepared that there is plenty to buy and your kids are going to want something from the day. Would we go again? Maybe. We would definitely not choose the final session of the weekend, but we might check it out one more time to see some of the things we missed this go round. 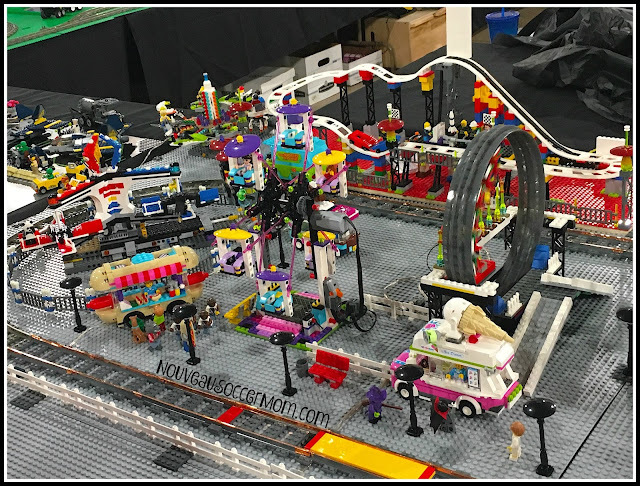 If your kids love Lego and Brick Fest Live is near your hometown, it's worth taking a look. Disclosure: We received complimentary Lego Brick Fest Live ticket as part of our affiliation with USFamilyGuide. All opinions are my own.